Now at this point, I was still fired up- but, a samurai without direction is nothing but a masterless “Ronin”. 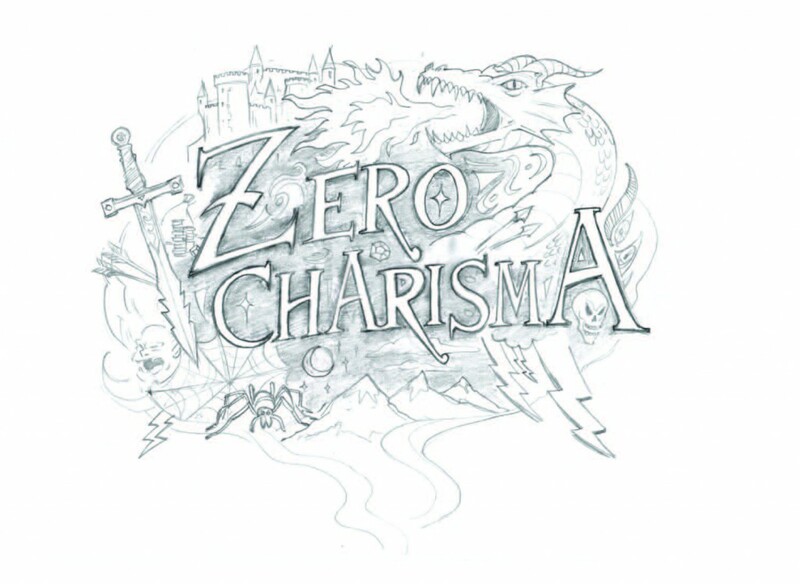 So in May 2011, I got an email from Indie GOGO about a fundraiser for the movie about the greatest Dungeon Master of all Time- this made me laugh and I wrote Andrew Matthews & Katie Graham (directors/producers/creators) of this film , Zero Charisma, a note asking If I could help. And Lo and Behold he wrote back and said they very much needed some help with some pen and ink fantasy work for a fundraising packet and poster- and I would have one week to produce a poster based on a sketch idea he had. A real client and a deadline, right up my alley, so I just had to produce- And your humble narrator did produce- so Thanks Andrew and Katie for believing in me and turning me loose. When your film gets financed, I look forward to blowing your mind again. Save me a seat at the premiere.